The Grateful Dead did some strange things when they were playing in a funk-inflected fashion. Jerry Garcia would slather that signature envelope-filter pedal all over everything, turning his guitar tone into the equivalent of an Egg McMuffin. And the rhythm section could summon up the slippery grooves that would have been at home on the theme for “The Barney Miller Show.” Falsetto backing vocals added to the vibe. The Dead’s music has been given just about every genre treatment imaginable — big band, a cappella, bluegrass, and beyond — so it makes perfect sense for players to highlight the syncopation and body-moving thrust layered into the Grateful Dead’s catalog, and to ladle on a little more where it might have been. 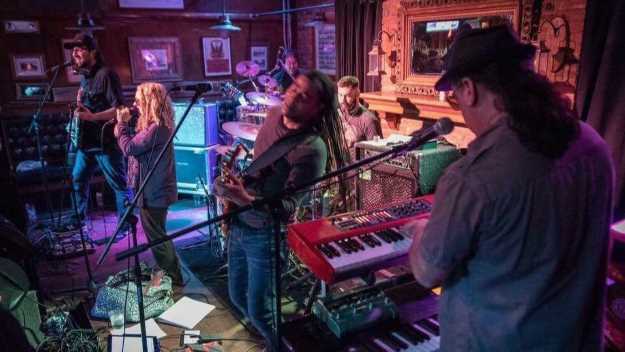 Hartford native and Living Colour bassist Doug Wimbish teams up with members of Kung Fu and the Breakfast to mine the deep grooves of Dead music in this collective. See Steal Your Funk at Arch Street Tavern, Arch St., Hartford, on Saturday, Jan. 13, at 10 p.m. Tickets are $7 to $10. 860-246-7610 or archstreettavern.com.